- We have built a beautiful new facility, Grand Cru Custom Crush, that is home to our wines and also those of a dozen other similarly sized and like-minded winemakers. In addition to state-of-the-art production, this new home boasts gorgeous tasting salons where we can finally welcome you properly for an exploration of the full Ernest lineup. - Many of you are curious about sampling the wines before purchasing and this new home allows us to pour for you anytime! Please follow this link to book an appointment at a tasting salon at Grand Cru to come see us at your convenience. Book a reservation! 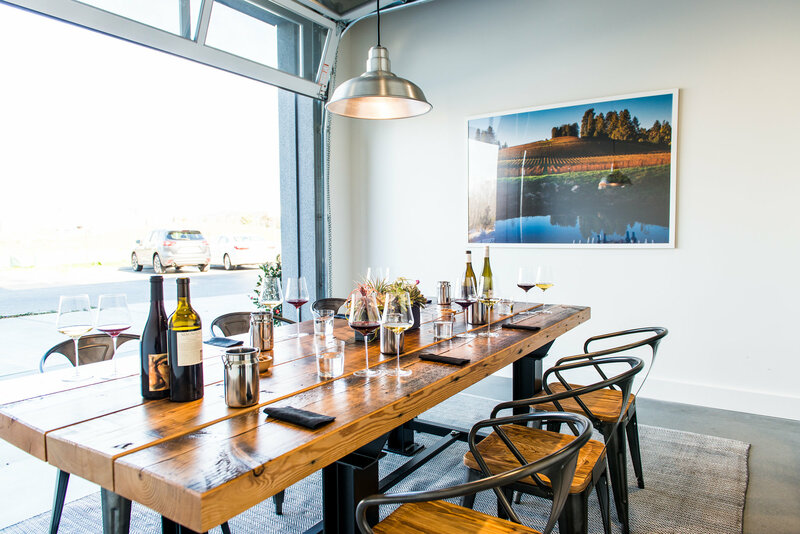 - We are going to host our FIRST Ernest Pickup Party on Saturday, April 14 where you can tour the facility, sample new release wines…and of course take your new wines home with you. More news to come on this event soon. - Professionally, we’re growing too. This year marks an evolution in my desire to share more real stories about what it takes to run this company and put beautiful wines in your hands. As a newcomer to the industry in 2012, my natural humility continues to serve me well; I’m a listener much more than I am a talker. But, it’s time to round out your understanding of Ernest and deliver more of the “why” and “how” behind our wines. So, we’re launching our Ernest Blog that will serve as a newsletter of sorts for you with details and stories about the wines and the people behind them. - The Spring Allocation will launch on March 15th with an amazing selection of wines including two rosés just in time for the change in seasons, two 2015 Pinot Noirs that are drinking perfectly right now, the new Aligoté, and the last-of-its-kind 2015 Chardonnay. I am incredibly excited to share with you the wines in this release and will be sending details on each wine in the coming weeks. We can’t thank you enough for being a part of this journey with us. Stay tuned for more soon!